One question that I am asked quite often is - How quiet are the BOXY units? Rob recently posed the following question "I am mostly interested in acquiring a very quiet running winder. Albeit a vast collection of automatic watches, my daily rotation is limited. I can appreciate the stackable power sharing design. Silence is golden within any automatic watch winder sitting on any hollow wooden unit tends to amplify at bedtime. Any assurance upon this would be great." Perhaps the best reference is a customer that who has a sizeable collection of automatic watch winders. 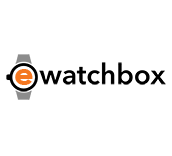 Dennis had the following to say about the BOXY Fancy Brick Winder "Hi eWatchbox, I'm happy to report that I have 8 of these automatic watch winders running 24-7 on the dresser in my bedroom. I never hear them from bed. It is difficult to hear them, even if standing right next to them."